The NSA seeks to monitor the location of everybody in the world who uses a device, says former technical director of the NSA William Binney. 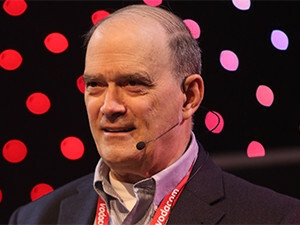 Delivering the first keynote address at ITWeb Security Summit 2015 this morning, in Midrand, Binney said he was "trying to go around the world and explain what the material released by Edward Snowden really means and how it affects the Internet worldwide. It is based on my understanding of how the NSA works, since I was the technical director there before I left." The high-profile critic of the spy agency, especially under the George W Bush administration, has more than 30 years' experience in the NSA and was considered one of the top analysts at the agency. "I have a good idea of the problems they were having and actually I started a lot of the programmes they are using to spy on everybody. So I am feeling kind of responsible for this, so I'm trying to turn it around. And we are starting to have some success, by the way." Binney explained the NSA is seeking to map everybody in the electronic world, so any electronic transaction can be used, stored and manipulated. "I would say they are very good at collecting data and storing data, but they are very bad at analysing it, because they are collecting everything." As a result of this approach, said Binney, the American spy agency collects so much information, even the thousands of analysts it employs are struggling to work through it. "That's why they can't stop any of the shootings or the bombings around the world. "That basically tells you they are dysfunctional because of all the data they are trying to look at." Binney also revealed how the agency spies on the Internet, by tapping into fibre networks around the world, saying he had a look at the points of conversions of fibre-optic networks of various ICT companies, such as AT&T, Verizon, British Telecom and Deutsche Telecom. "If you have a collection device, you want to put it at the intersection of multiple fibres, because you can then see them all at the same time, so you get the most bang for your buck when it comes to collecting data." He added that 80% of fibre in the world is either in, or passing through, the US. "That means they get to see 80% of the World Wide Web." Since Snowden's revelations, the Second Circuit Court of Appeal has ruled the collection of metadata illegal. "The House has passed things to make this bulk collection of data illegal. The Patriot Act will sunset on 1 June, so we are starting to make some progress there." Binney explained US media had covered the NSA's PRISM programme extensively when details emerged. "Well, the PRISM programme was just a miniscule amount of data compared to the Upstream [programme]. The Upstream was the big programme and that's where they are tapping the fibre lines and pulling the data off as it floats by. "Of course, that is the real programme that is collecting the massive amounts of data that's all done under Executive Order 1333, meaning it has no oversight by courts of Congress in the United States. So they're collecting everything on everybody." Binney also outlined an NSA programme named Treasure Map, aimed at mapping the entire global communications network and every device on it, all the time. "What this means is they want to monitor the location of everybody in the world using a device; that being approximately four billion people. "And they want to have that knowledge every minute of the day." Binney said he refers to the NSA as a new Stasi agency, saying its work is effectively destroying democracy, as the NSA is collecting files on everyone in the world. "This was an adoption of totalitarian state procedures. "They're doing this in secret, with secret interpretations of laws, in a secret court, making secret decisions on constitutionality, and all of that behind closed doors. That really is a threat to everybody."